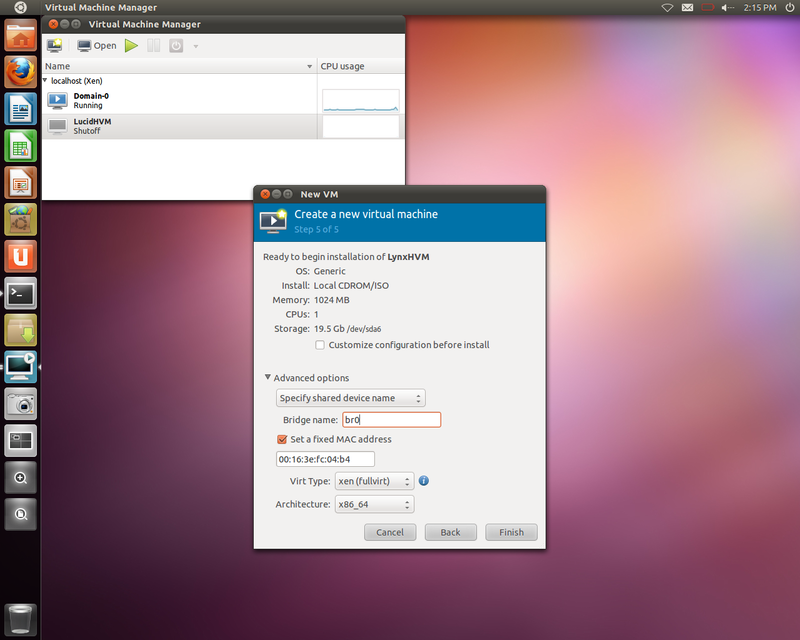 # on each call to 'xm create'. # NB: Only xvd devices are supported by the kernel in Debian Lenny and later. # Define frame buffer device. 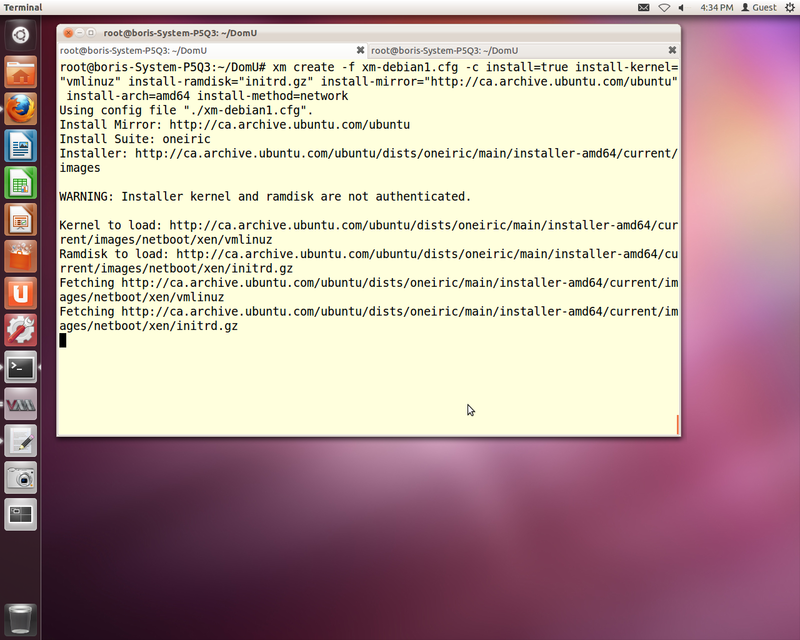 +        kernelurl = installer + "/netboot/xen/vmlinuz"
kernelurl = installer + "/netboot/xen/vmlinuz"
+        ramdiskurl = installer + "/netboot/xen/initrd.gz"
ramdiskurl = installer + "/netboot/xen/initrd.gz"
Building Xen 4.1.2-rc(X) for Ubuntu 11.10. If you just want to get ready Xen, e.g. 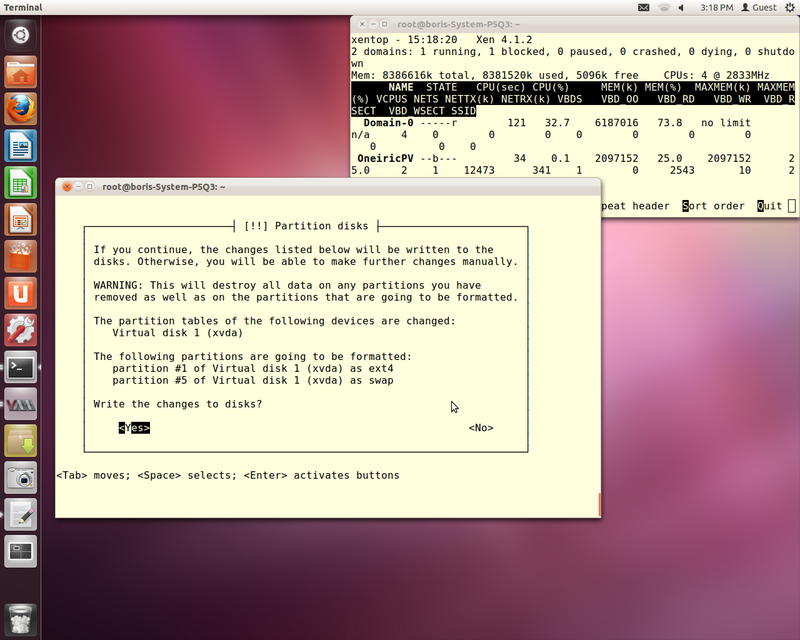 desired revision has been already uploaded by somebody else. 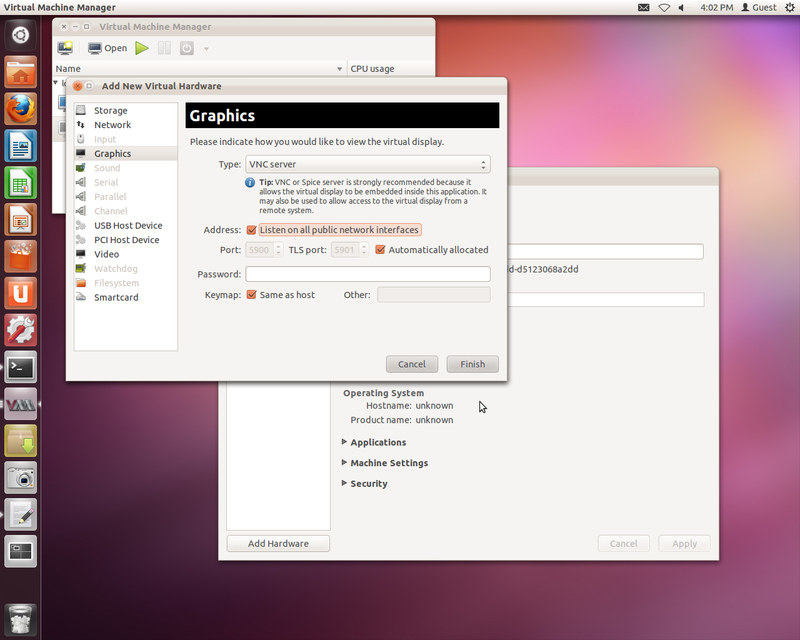 show all mentioned drivers, yours system won’t be functional. In meantime 4.1.2-rc1 is tagged. I will start with short description preparing package to upload to Launchpad, presuming that you have PGP signature, regardless there is ready 4.1.2-rc1 to install from my PPA “Build Xen 4.1.2-rc1 for Ubuntu 11.10”. 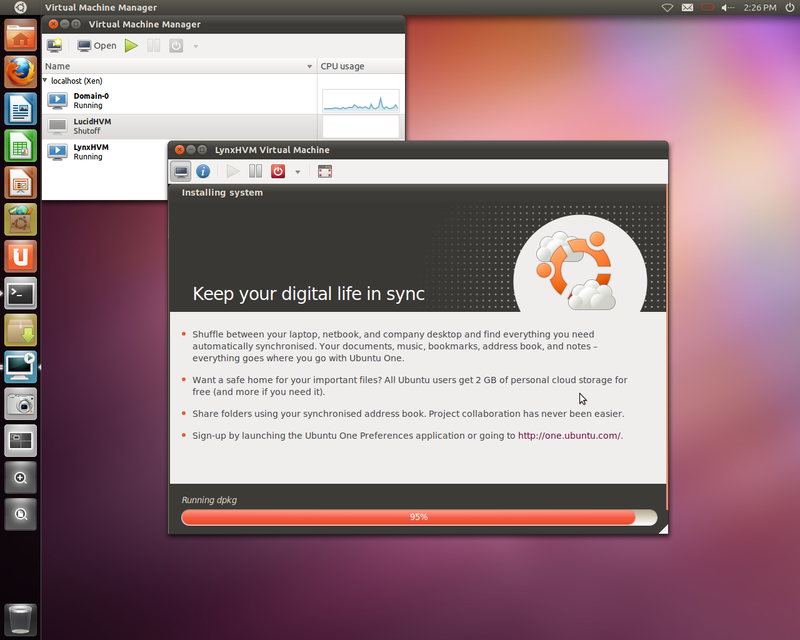 Actually, that’s the way to keep in sync Xen 4.1.2-r(X) on Oneiric with tip or tip revision of http://xenbits.xen.org/hg/xen-4.1-testing.hg/. 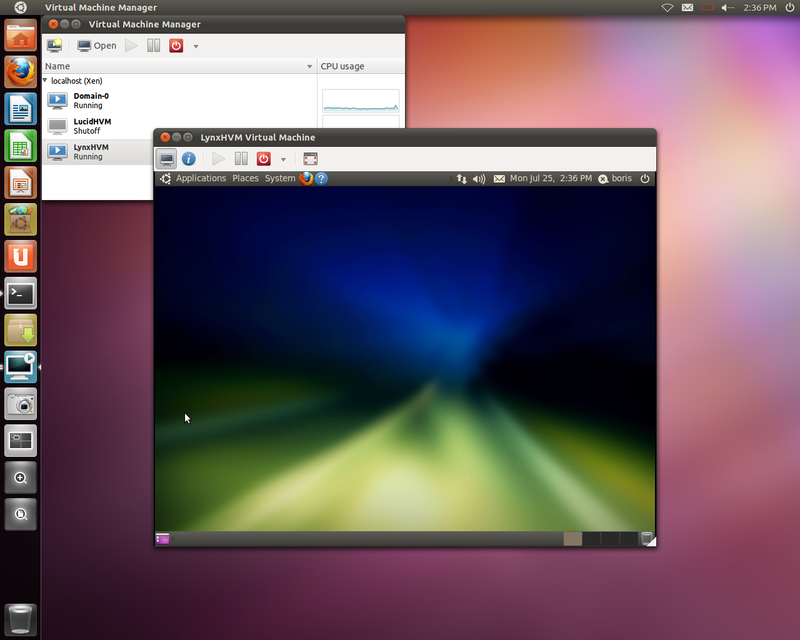 UPDATE on 10/25/11 Xen 4.1.2 with pygrub gpt support for Ubuntu 11.10 (virt-install fedora 16(TC1) works for me). 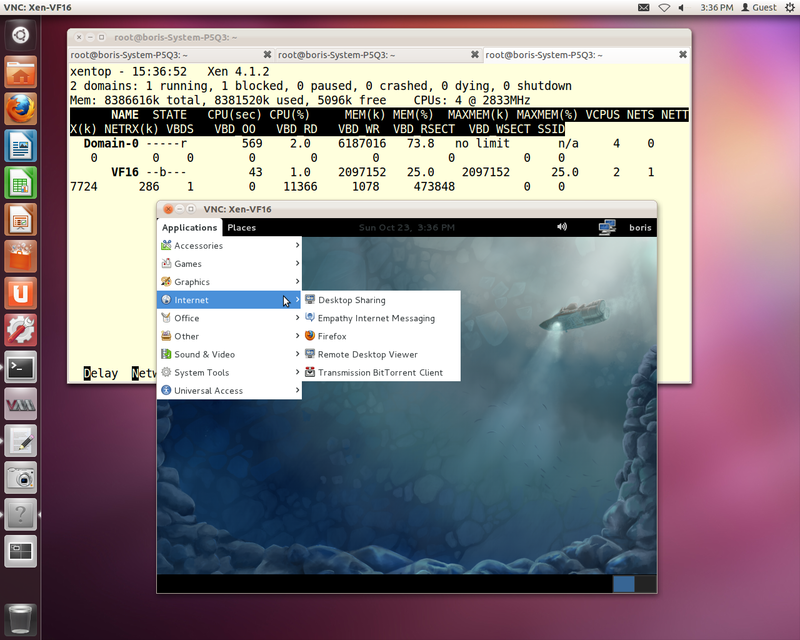 View PPA Xen 4.1.2 with pygrub gpt support for Ubuntu 11.10. 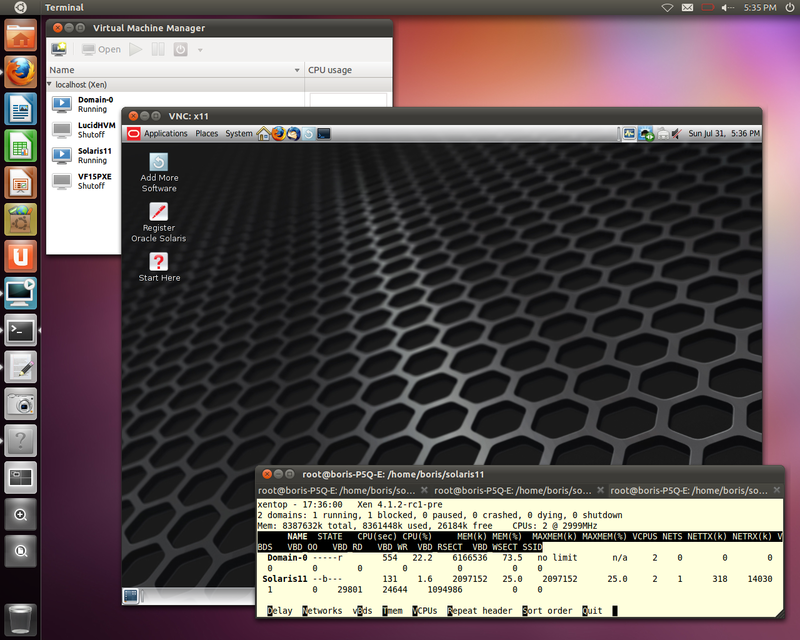 I’ve also tested this hypervisor with 3.1.0-030100-generic. 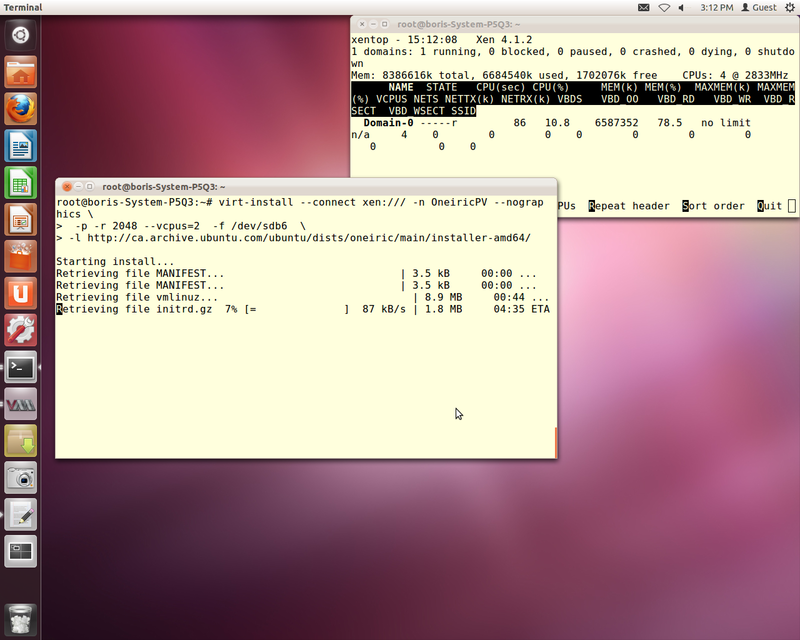 The last kernel has PCI_BACKEND implemented. 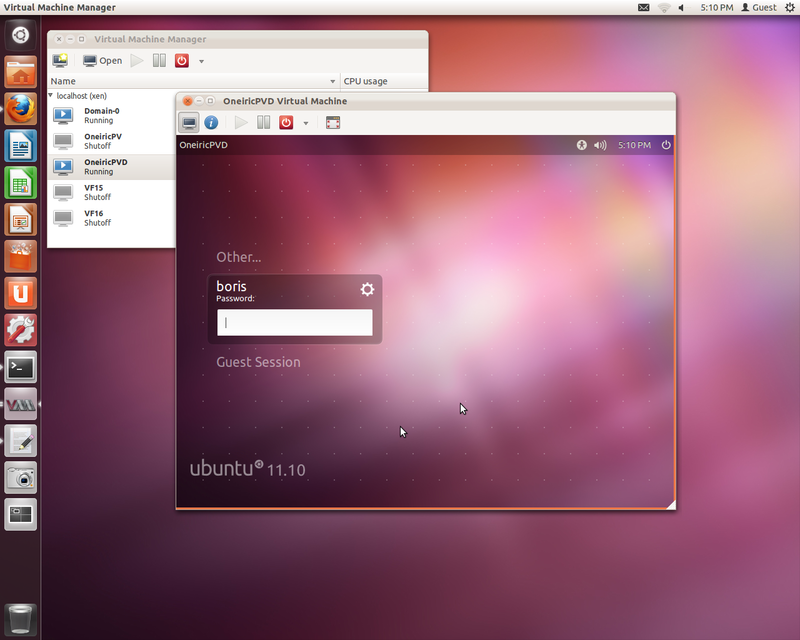 UPDATE on 10/21/11 Xen 4.1.2 for Ubuntu 11.10. 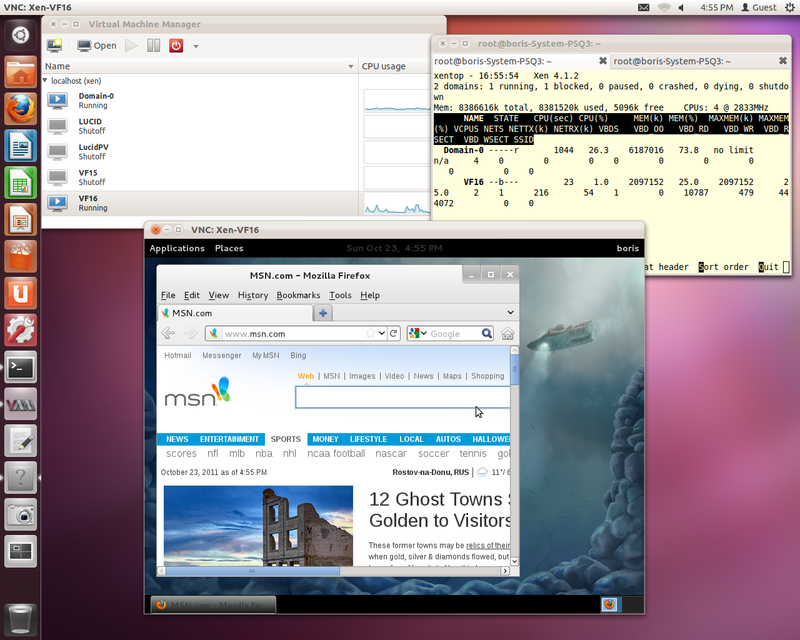 View PPA Xen 4.1.2 for Ubuntu 11.10. 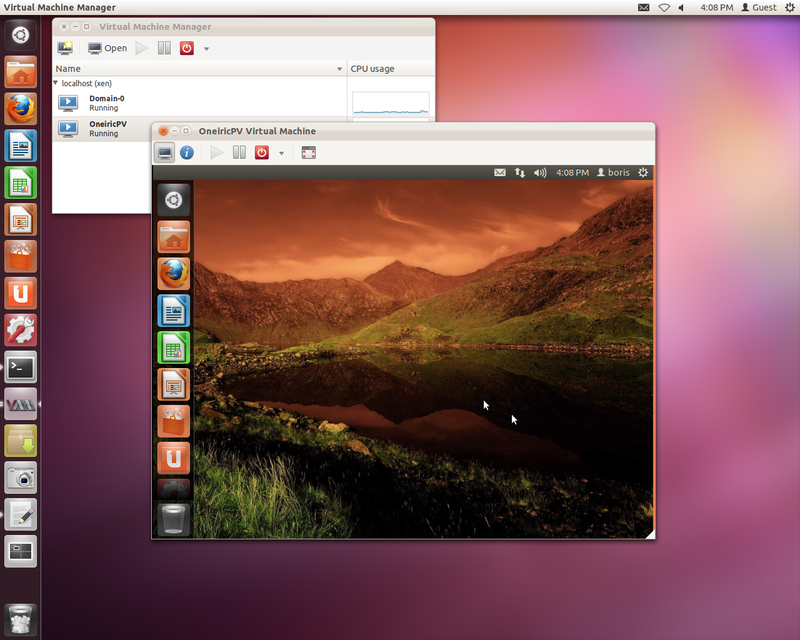 UPDATE on 09/15/11 Xen 4.1.2-rc2 for Ubuntu 11.10. 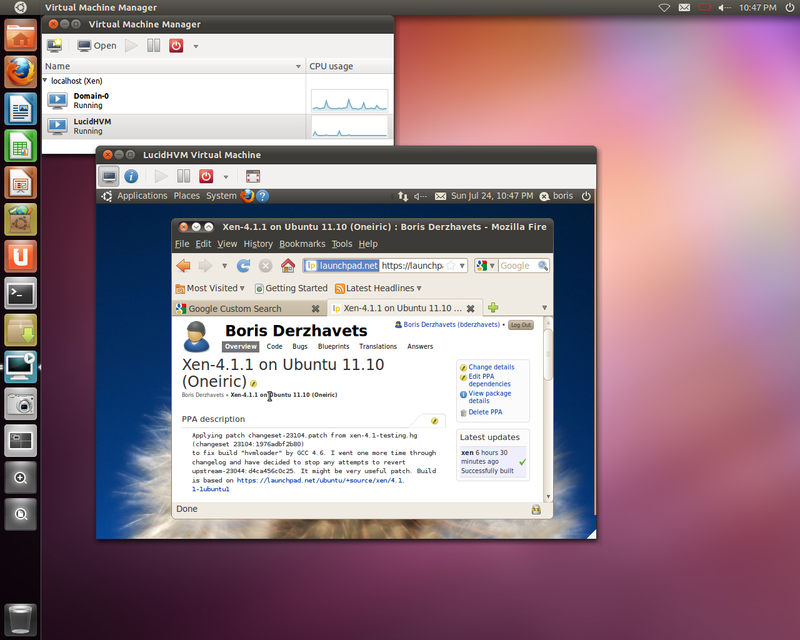 View PPA Xen 4.1.2-rc2 for Ubuntu 11.10. 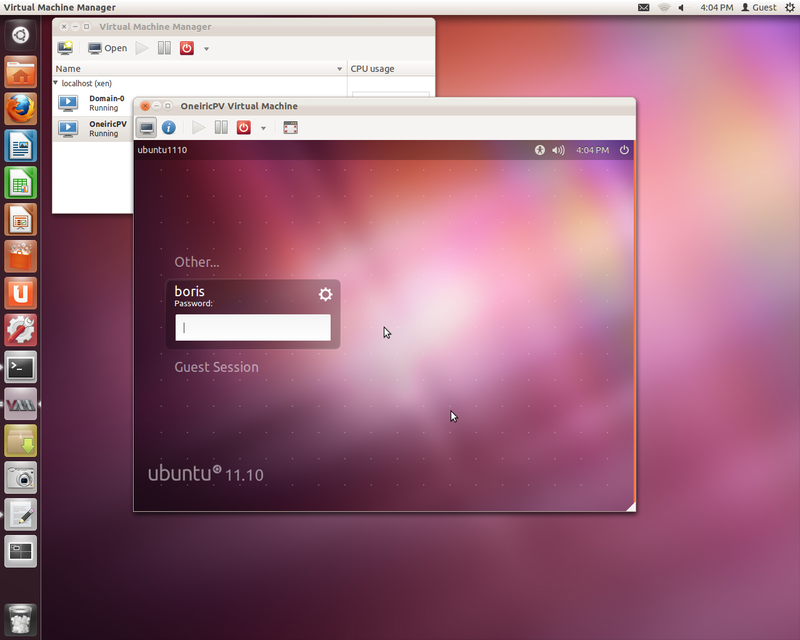 UPDATE on 08/26/11 Build Xen 4.1.2-rc1 for Ubuntu 11.10. 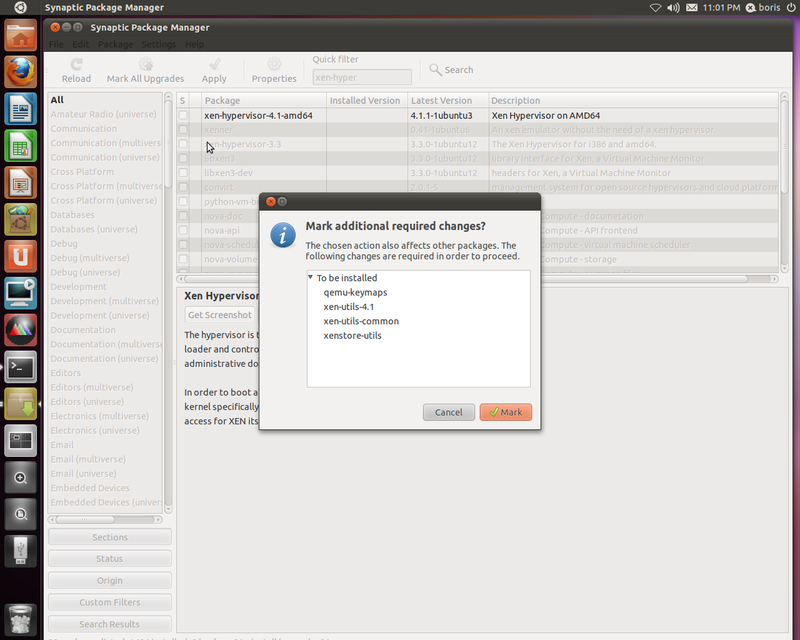 Install Xen 4.1.1 Hypervisor (4.1.1-1ubuntu3) and tools via Synaptic Manager. 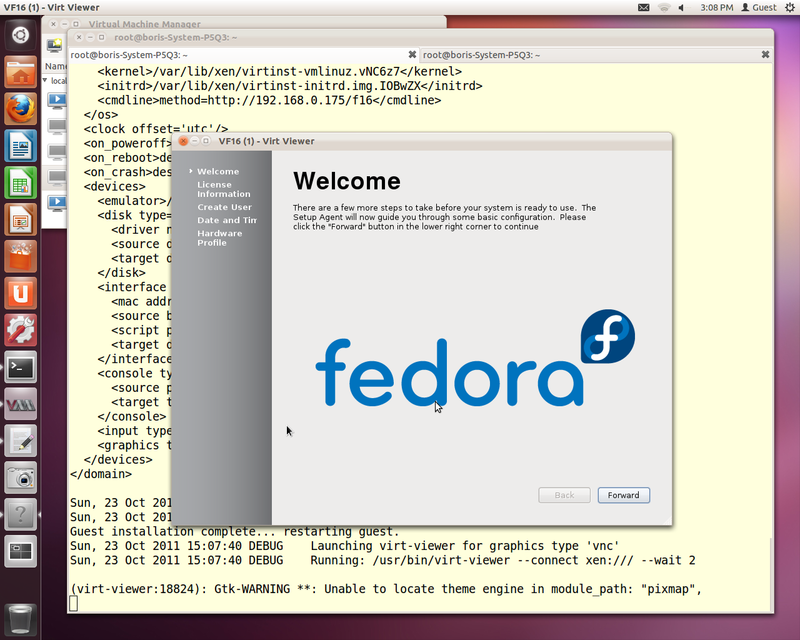 If you are missing at least one device under /dev/xen or lsmod doesn’t show all mentioned drivers, yours system won’t be functional. 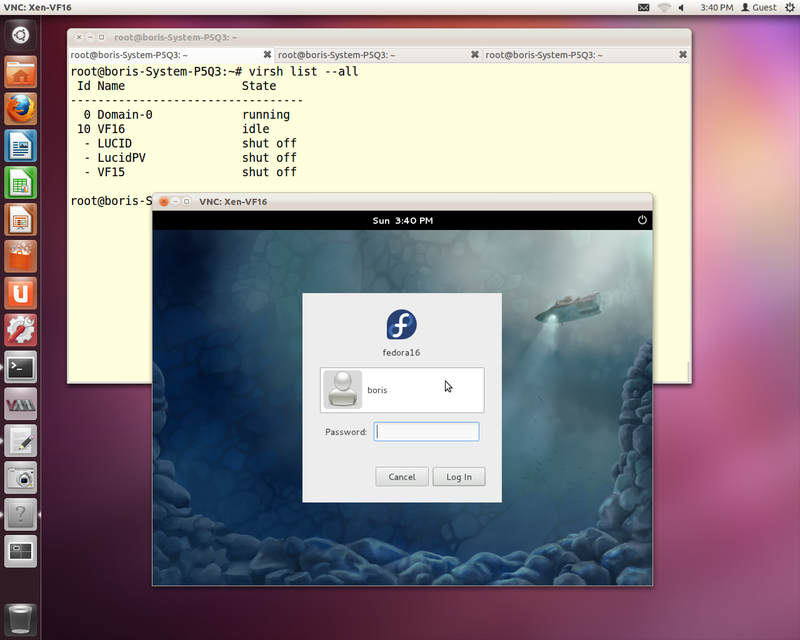 Create HVM DomU via standard python profile. 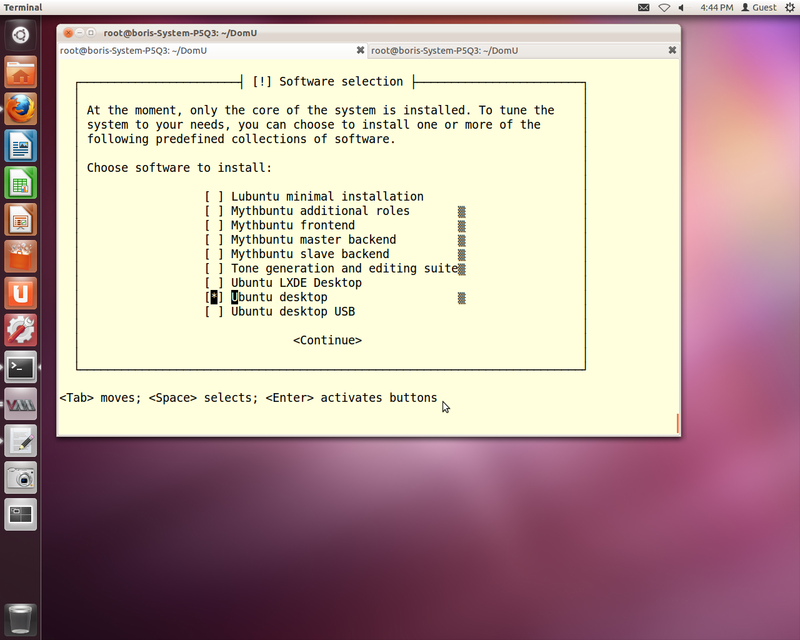 You should be able complete the task with no problem. 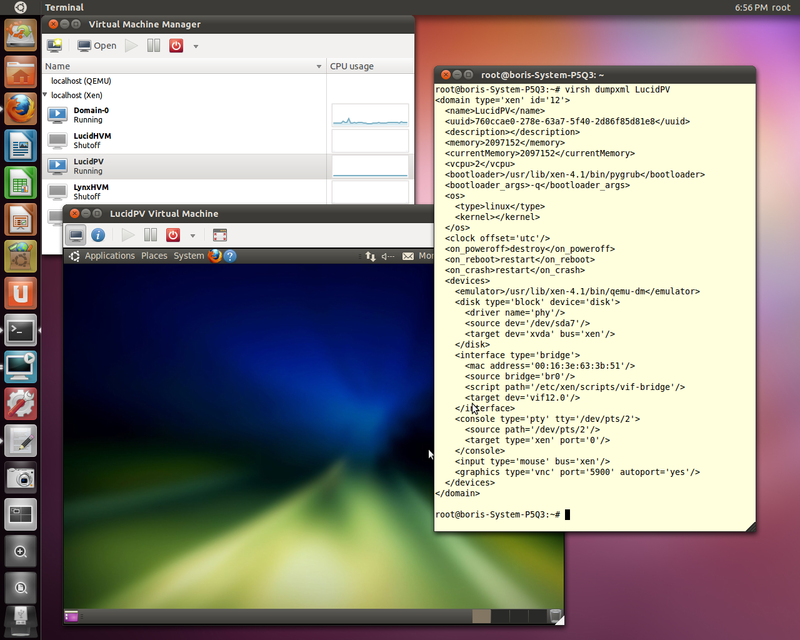 Next step would be fixing bug with virtinst tools and install HVM Ubuntu 10.04.3 via virt-manager or virt-install. 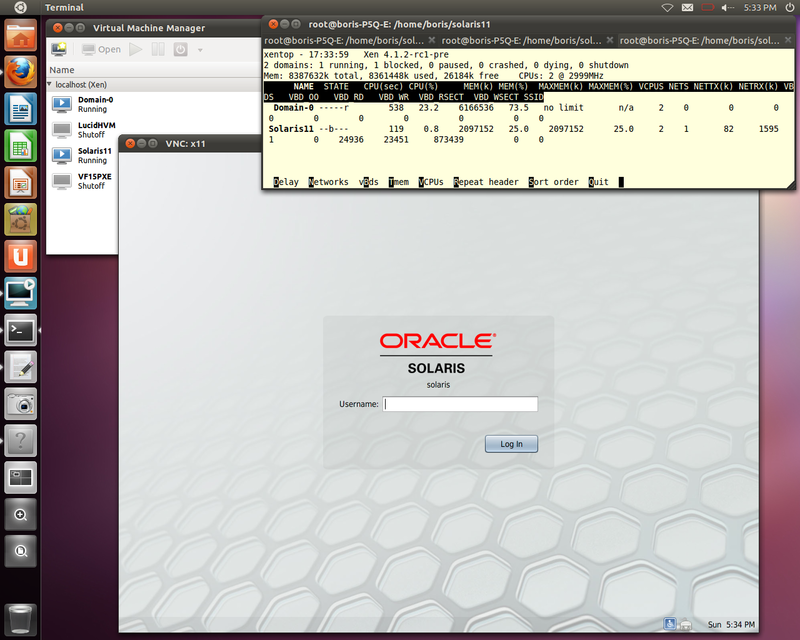 Installation via virt-manager is much easier and allows create Ubuntu 10.04.3 PV DomU via XML profiling and command “virsh define” in several minutes. 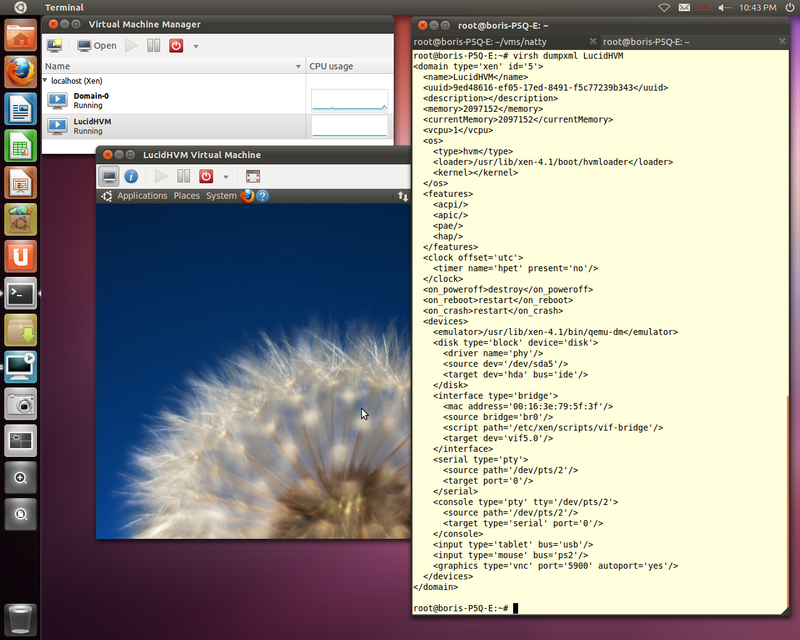 Mon, 25 Jul 2011 11:07:40 DEBUG Requesting virt method ‘hvm’, hv type ‘default’. 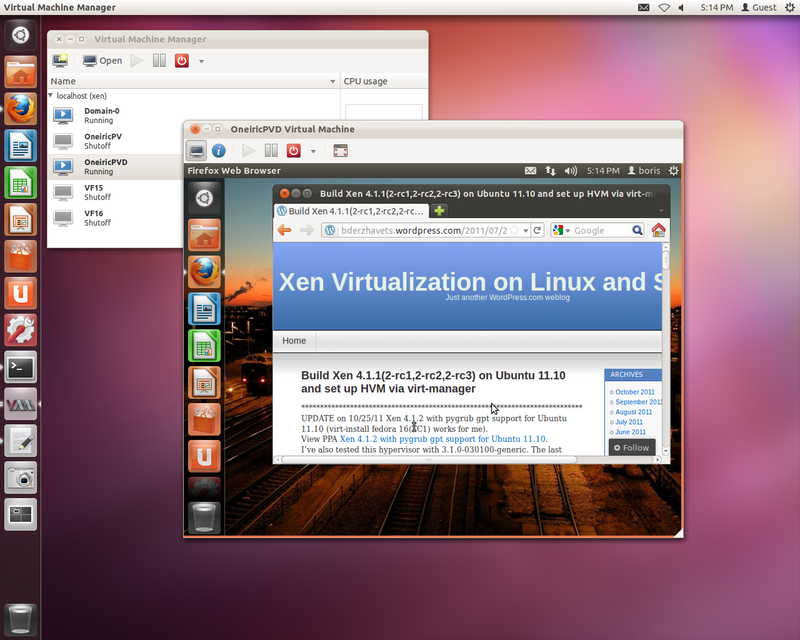 You are currently browsing the archives for the Xen 4.1.2 on Ubuntu 11.10 category.